Here is some helpful information regarding figuring out piano sizes and heights. NOTE: There some slight naming and height association differences throughout the piano community. This information is meant to be a guide in figuring out what kind of piano you either have or are considering. Spinet – Spinet pianos are the shortest upright piano size, ranging from 36 inches to 37 inches in height. Spinet pianos are the popular choice of many people who live in limited living spaces, such as apartments or who are on tight budgets. The piano height is reduced by lowering the position of the action in relation to the keyboard, such that the lever is pulled up by the key via a metal, plastic, or wooden rod instead of being lifted in the normal way. These smaller pianos also are “less” in terms of overall tone and quality, but many people cannot discern the tonal differences and it is fine for their needs. Console – Console pianos are the next step up from the spinets. There are two varieties, the console and the consolette. They are slightly taller than spinets, ranging from 38 to 43 inches in height. The action of a console piano sits directly on top of the keys and as with all vertical pianos the hammers sit in an upright position. Servicing the working parts of a console piano is usually not as tedious as with a spinet. 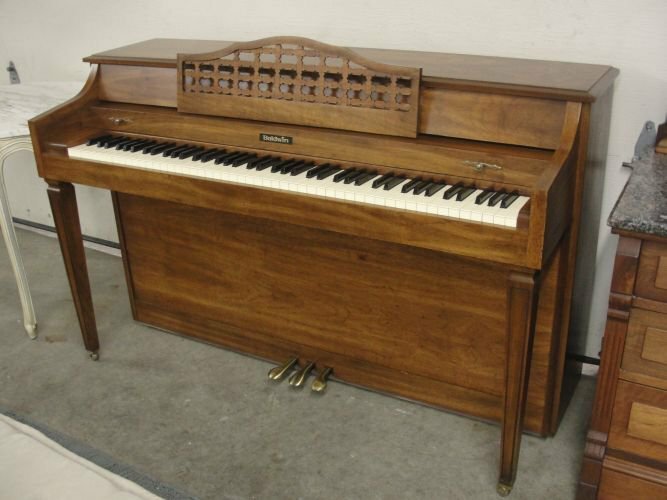 The console piano gained popularity in the early to mid-1900s as a piano incorporating furniture style design of that era with mid-range size and improved quality tone. Studio – Studio pianos come in two varieties, Studio and Studio Professional, and are a quite popular and good quality step-up from console pianos, ranging in height from 44 inches to 49 inches tall. 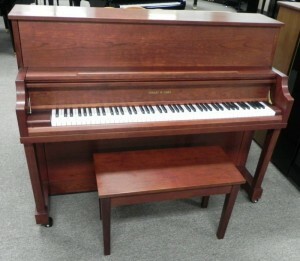 You will typically see this type of piano in institutional and educational settings. They have pretty good tone, are of good quality, and are second only to full upright and mid-to-large grand pianos. 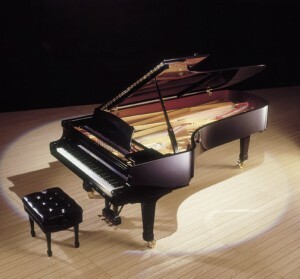 The action in a studio piano is closer to the touch and feel of a larger piano as well. Upright – Upright pianos are the tallest of the vertical pianos and are also called Upright Grand pianos or Professional Upright pianos. 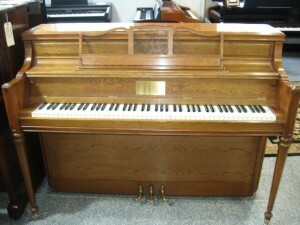 Many of the very old pianos are Upright pianos and range in size from 50 inches to 52 inches in height and taller. 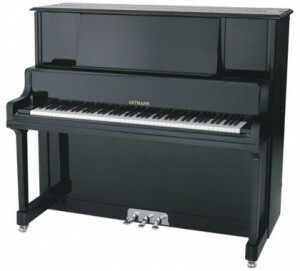 Of all the Upright pianos, the Professional Upright is most comparable to a quality Grand piano. Grand – Grand pianos are the largest and typically the best sounding pianos. They come in a wide range of lengths, from under 5 feet to over 9 feet in length. Baby Grands are typically shorter than 5 feet 5 inches in length and don’t have quite the tone of the larger Grands. Baby Grand pianos exist for those who want the look of a Grand piano, but just don’t have the room for one. As you move up in size of Grand piano, between 5 feet 5 inches t 9 feet and beyond, you also move up in both quality and price.